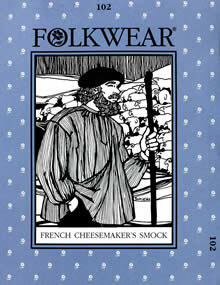 This roomy pullover style is traditional garb for cheesemakers in Roquefort, France, and a comfortable smock for the studio or day's adventures anywhere. 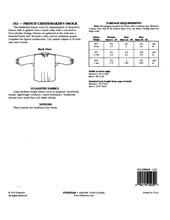 Sized for men and women, the easy-sew smock features shoulder yoke, simple narrow buttoned neckband, and optional underarm gussets. Misses 6-20; Men's 32-46.